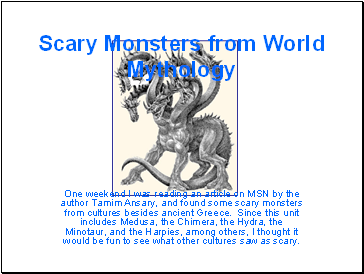 One weekend I was reading an article on MSN by the author Tamim Ansary, and found some scary monsters from cultures besides ancient Greece. 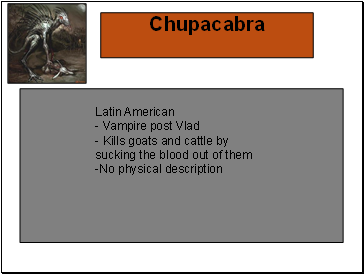 Since this unit includes Medusa, the Chimera, the Hydra, the Minotaur, and the Harpies, among others, I thought it would be fun to see what other cultures saw as scary. 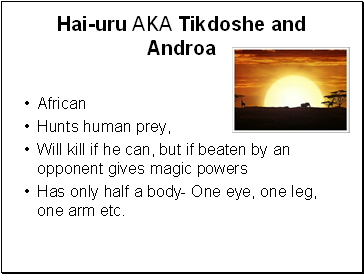 Has only half a body- One eye, one leg, one arm etc. 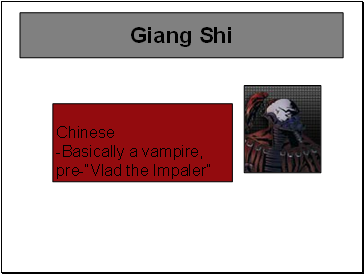 -Killed by Kali, goddess of death, who stuck out her tongue until it covered the world and then chopped off his head. Thus, any blood spilled was swallowed. 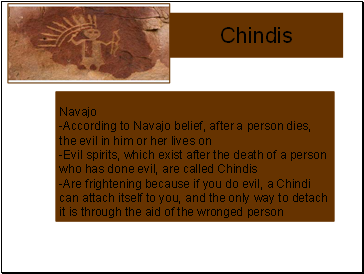 -Clay shaped basically like a human and brought to life by an incantation. 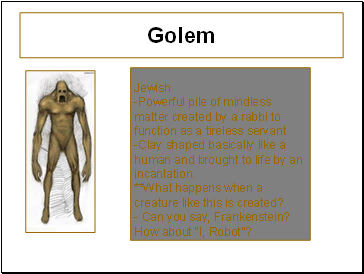 **What happens when a creature like this is created? - Can you say, Frankenstein? How about “I, Robot”? 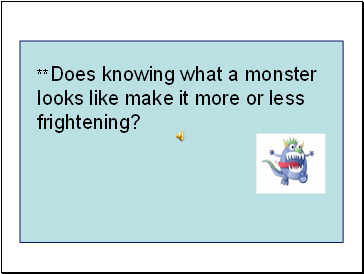 **Does knowing what a monster looks like make it more or less frightening? 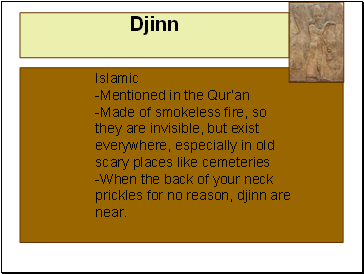 -When the back of your neck prickles for no reason, djinn are near.